Do you love Ikea but don’t have one near you? Here’s a super rare offer where you’ll get FREE shipping when you order online! Plus, you can also buy in store and then have the items delivered to your home for FREE. Comes in very handy when the items you want don’t fit in your car. 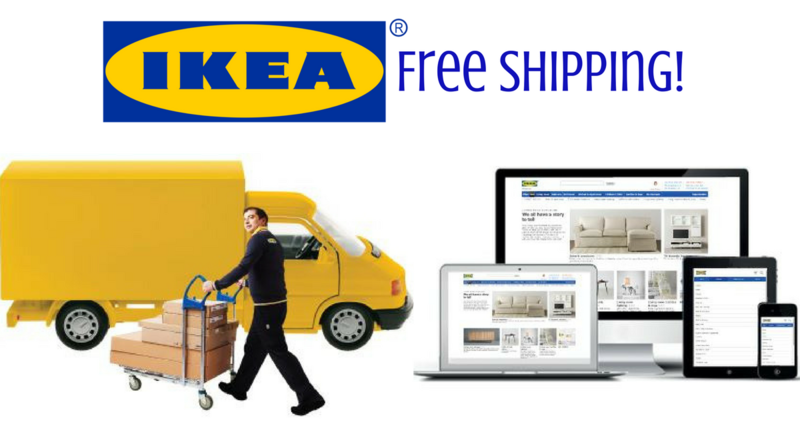 This is a fantastic offer since Ikea shipping normally starts at $99 for large items. Offer ends this Friday, November 3rd. Note: not valid on shipments of AK & HI, delivery area limitation apply on in-store purchases. Thanks Gilbert for the heads up on this one!